When the tables turn and we become the “caregivers” rather than the “cared for” in the lives of our parents, fear can easily take over. Though the years we’ve depended on our parents to be the lifeline and support for us in most every aspect of our lives. They’ve supported us through hard times, loved us when we were un-loveable, and been the solid rock of the family foundation. Taking the helm in the care of our parents means turning loose of the dependency and becoming the one to be depended upon. What we fail to realize is that not only is this a frightening time for us, but it’s an equally scary time for our parents. For years, our parents have been strong and able. They were raised in an era when caring for yourself was a necessity. Therefore, handing over the shards of independence cuts deep into their being, and it’s difficult to accept help when the time arises. The stress which accompanies the care of an elderly parent can be overwhelming. Not only do children deal with the financial issues and the physical needs of their parents, but mentally shifting the thought process toward being the caregiver becomes more difficult. Separating our love for them from their care is tedious. Many times our parents fight the need for help—they refuse to see their physical needs have increased. Finding a caregiver who can gently aid in this transition is vital. Being a caregiver is a tough profession, and often filled with frustration and hurt. However, being armed with the tools of knowledge can help ease the transition. Encouragement is a must—reminding seniors that their opinion still counts and then respecting that opinion as well. Respect and integrity—one of the hardest things to manage is to remain in control of how we treat our seniors both physically and mentally. Even a parent in the deepest stages of dementia recognizes respect and had a need to have their integrity honored. It’s easy to take the care of our parents to extreme and treat them as children rather than adults who simply need assistance. Honor their integrity and respect them fully for they are still our parents. Pray – Doctors and hospitals nationwide are beginning to recognize the power of prayer. Pray daily for the empathy and gentleness necessary to handle the situations that arise with our elders. Pray for their health, their understanding and pray for the family as a whole. The knowledge of praying friends uplifts those who are in need. Work with seniors, not against them—Digging in with stubborn heels is not always the appropriate way to handle things. Relax and move slowly into the transitions when ever possible. Allow seniors the opportunity to adjust. Caregivers hired from outside the immediate family will generally have the upper hand in dealing with aging parents. A caregiver trained in the appropriate manner will come into a home, encourage, assist and gain the trust of the parent, providing and making inevitable changes for seniors easier. Choosing a company who has the ability to train and teach the art of good caregiving is important. Comfort Keepers provides caregivers who are trained in unique and loving caregiving skills. Seek the help of a good company such as Comfort Keepers. Allow them to assist your loved ones into and through the transition of aging. End of life decisions are hard and though families recognize the importance of pre-planning, it’s often a part of aging many choose to ignore. As difficult as the decisions are, it is important for families to take the initiative to set them in place. Many times these decisions are pushed to the side for a number of reasons. First and foremost, is the reality of losing a loved one. Secondly, there is simply not enough knowledge to move forward to set directives in place. Think of end-of-life decisions as part of the daily business process of aging parents. Just as the power bill must be paid, so is the importance of putting advanced directives in place. Advanced Directives include many things but the four most common documents every individual needs are: a Will, Power of Attorney, Durable Power of Attorney for Health Care Decisions, and a Living Will. As difficult as it is to discuss these matters, it’s wise to make these decisions early in our lives when emotion does not come into play, rational decisions can be discussed and plans made. Power of Attorney designates an individual or family member to help assist in daily life situations, banking, bill paying and decisions. Families should assign this task to a person who has sound judgment and is able to attend the personal and financial needs of the loved one should they become unable to do so. Along with Power of Attorney is the need to for this person to have joint ownership of all bank accounts and savings plans. Simply signing a signature card at the bank does not allow full access to funds, i.e. transferring money from savings to checking accounts or cashing out IRA’s etc. for payment of medical needs. Durable Power of Attorney for Health Care Decisions designates someone else to make health care decisions in the event a loved one cannot make them for themselves. 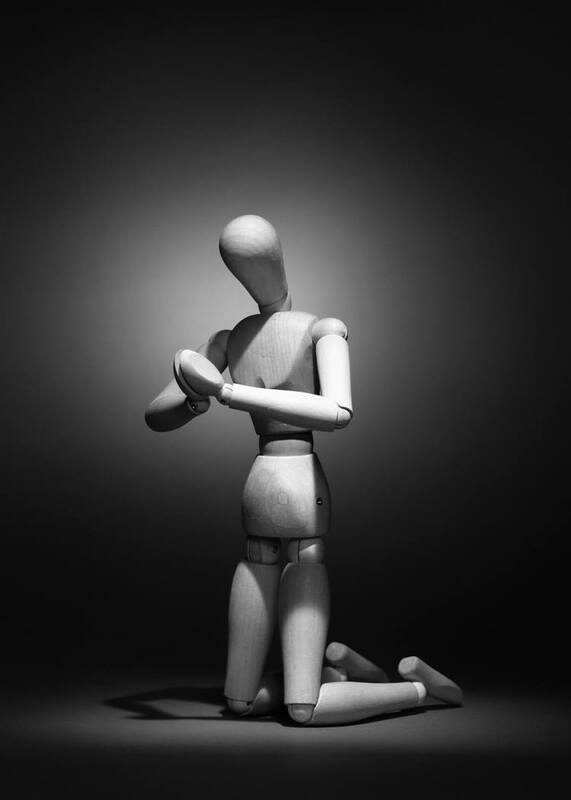 It is important this position be designated to someone who has discussed at length the wants and desires of medical care with the loved one and is willing to abide by and act on those decisions and who is willing to make important health decisions should the desires of the loved one not been made known. Living Will is a document made in advance of illness that states the wants and desires of end-of-life decisions such as emergency life-sustaining measures, i.e. CPR, respirator, extenuating measures to prevent the natural process of death. It’s not about the quantity of life but the quality that is important. A living will can be catered to the wants and desires of the patient. Will states the desires of assets and their distribution. As our parents age make a packet of these forms and store them in an easy-access spot so that emergency responders can locate them and abide by the wishes of your loved one. Being prepared for any situation is important not only for our aging parents but for every family member. Having these documents prepared saves time and makes the transition of care simple. 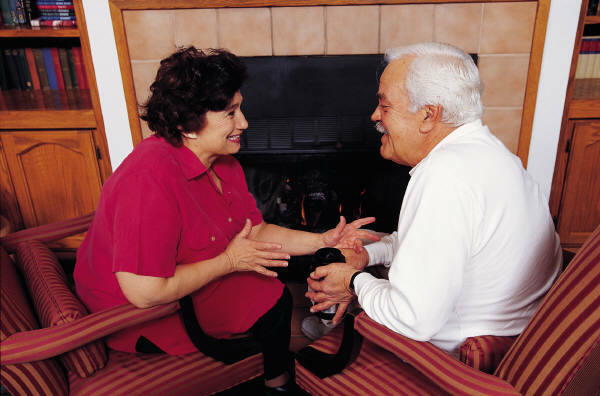 Bring family members together, discuss the wants and wishes of seniors and then draw up Advanced Directives. When families become caregivers life is anything but normal. Daily routines which once flowed with great ease suddenly become chaotic. Schedules are wrecked and life becomes a true balancing act—balancing being the key word. Taking on the role of caregiver is a great responsibility for those who are up to the challenge and it’s important that the remaining family members become aware of the stress and work involved. Not only does the designated caregiver work to maintain normalcy for their immediate family but they’re in charge of juggling the schedules for those they are caring for. Changes in routine are difficult enough for our families, but to our parents it means more than difficulty – it means confusion and disorientation. So how do we help manage our elder’s lives and keep them on track? Follow these steps to make the transition from independence to dependence as smooth as possible. Maintain a time schedule—remember that our elderly are accustomed to a strict routine. After years of retirement, they’ve managed to set their internal clocks to alarm the same time each morning. Keep in mind, especially if your parent deals with Alzheimer’s or dementia, that repetitive routine is the balance for these individuals. If keeping the morning wake-up schedule is impossible, then ease the change in by adding 5-10 minutes to their morning. For instance, a caregiver might say, “Mother, you wake up at 6 a.m. I’ll be here at 6:10 a.m.” Then show up on time. Small fragments of time are easier to manage change for our elderly. So add slowly. Be responsible and call—If you can’t make a pre-designated time, be responsible. Call. Let loved ones know that you are running late. Give them a time frame and then stick to it. If the schedule continues to change continue to call. Is it convenient? No. But calling will save both the caregiver and the parent frustration and confusion. Again, maintaining the fine line of balance is vital. Be joyful—even when you don’t feel like it. Self-esteem for our aging parents is fragile at best. It’s enough for a parent to give up their independence but when they must suffer the guilt of being an inconvenience, depression and hurt build to enormous levels. Elders will not ask for basic needs when they feel as though they are a problem and many times they will do without vital things to their health, such medications. As difficult as it is to maintain normalcy. Make the effort. It requires dedication and effort but mostly it requires love. Our golden years are supposed to one of the most wonderful times of our lives. Retirement and rest, grandchildren, travel, and the freedom to enjoy the things one has worked toward should be a joyous time. But for many the golden years are hard. The economy alone has taken a bite from hard earned savings that our elderly had planned on for extended care. Medical expenses continue to sore and Federal benefits that have been paid into for years trickle instead of pour into the hands of those who’ve worked and waited to be recipients. For some even the early part of the golden years are plagued with health issues. This is the time roles reverse and the children who were once cared for by parents become the caregivers. 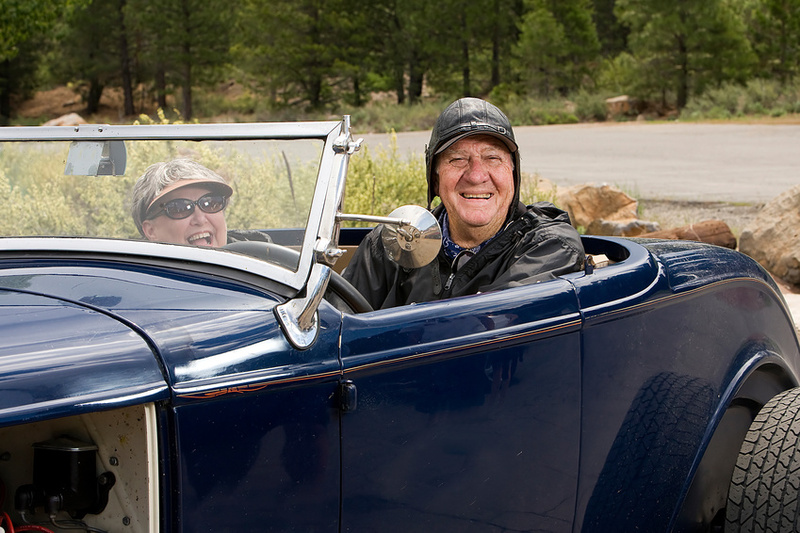 Medical advancements, medications and facility care have increased the longevity of our seniors. Statistics show that approximately 44% of America’s baby boomers are now caregivers, turning the numbers into 2 out of every 7 families facing the in-home extended care of their parents. Assisted living facilities are springing up across the country for those who have the means to invest in that specific care and nursing homes are at capacity with those who cannot. We have to wonder what will happen in years to come with a system that can barely manage the care of these valuable individuals. Today’s world no longer offers an easy way to help manage the lives of those who helped build this country. The busyness and lack of priorities cause many families to call the care of their loved ones, “a problem” not a blessing. An independent study done through students at the University of California at Berkley found the growing number of seniors requiring even minor assistance in their golden years is on the rise and quickly developing into full-time needs. In-home caregivers now provide for 25% of those who are receiving care. Of these “informal” caregivers less that 5% have adequate training. Seeking the help of licensed caregiving agencies is becoming more and more important in protecting and providing exceptional care for our aging loved ones. Unfortunately, extended care is not free. Many individuals live with the misconception that Medicare provides coverage for this need when in fact, it doesn’t. When families hire a licensed company to aid in the assistance of their loved ones, certain guarantees fall into place. Licensed agencies, such as Comfort Keepers, perform full background, driving and credit checks on all employees. They carry workman’s compensation and business liability insurance that not only protects them, but their clients as well. A licensed company offers continued training to their employees and adheres to the state and federal standards set for the industry. When you hire a licensed company such as Comfort Keepers, you are hiring dependability and reliability. Aging is difficult and coming to that realization is hard for our parents. Their dignity and self-esteem fall when they feel as though they are a problem. When seniors were polled by an independent agency about their fears, the number one most frightening incident was loss of independence. And rightfully so. Our parents were raised in an era where independence was not only a valued thing, but also earned and a times, a matter of survival. 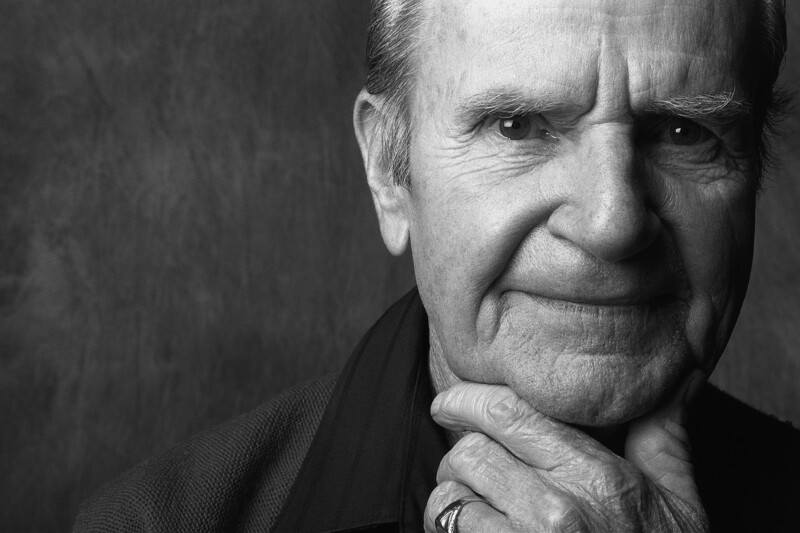 Most of our elders were raised on the simplicity of life where you made do with what you had. If you needed help, you called on a family member. In their younger years they had to work hard from dawn to dusk to provide the necessities of life. Independence, to them, was valuable and when the loss of that attribute happened, the result was seniors who simply gave up. This mindset is hard to overcome, especially in a modern society where computers and cell phones reign. Our seniors have little or no knowledge of the world’s technology and frankly, it frightens them to depend on a technology they don’t understand. Modern technology has provided a number of safety gadgets that when used, offers seniors the opportunity to remain as independent for as long as possible. PERS (personal emergency response systems) have become one of the highest rated safety options for today’s seniors. A personal emergency response system is a small button attached to a necklace and worn by the senior at all times. In the event of a fall or illness the loved one can press the button and call for emergency assistance. Many have seen the television commercial “I’ve fallen and I can’t get up!” The product this commercial advertises is one of the most valuable assets in which a senior can invest. Most PERS are small remote buttons that, when pressed, activate a monitor which dials an emergency call center. Once the call center is notified, a representative’s voice comes across the monitor. If voice contact can not be made with the senior, pre-designated emergency steps are activated and help is immediately sent. PERS services range in cost from $30-$50 per month and the service is worth every cent. Seniors who wear PERS are able to stay home alone without the fear of being injured and not being found. PERS units provide an almost instant assistance for seniors in need and for their families, a peace of mind that cannot be found in other situations. These small, unobtrusive devices are one-step-simple and help re-establish a confidence in seniors that encourages them to remain active and live safely at home. The harsh reality of modern technology and medical assistant devices is convincing our elderly to use them. Having a PERS unit does no good, if the senior refuses to wear the button, just as having a walker to help maneuver through a house is of no use if it remains in the corner unused. As family members, it’s our job to lovingly and gently introduce our seniors to these devices, encourage their use and reassure our loved ones that use of these products provides a security and peace of mind for them and their family members. Many insurances will pay some or all of the cost of a monthly PERS unit when accompanied by a prescription from a physician. They can be obtained through home health agencies, hospitals, drug stores and local independent dealers. Introduce your senior to a simple and cost effective device such as a PERS unit and help ease the fear of losing their independence. 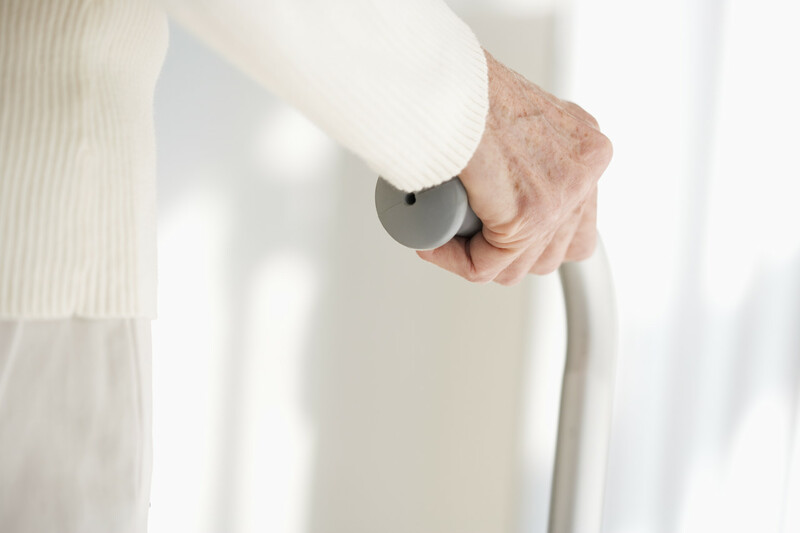 One of the most common incidents we face with aging parent are falls. Well over 70% of these falls occur within the home…the most familiar place to our parents. Not only can seniors easily break bones from a fall but they can also die. Taking fall prevention seriously can save your parent’s life. The primary cause for falls is environment. It’s the normal things in our homes that literally trip us up. As parents grow less steady make a round through their home. *Throw rugs – Small rugs wad and roll easily beneath feet that tend to scoot. Without permanent attachment to the floor seniors can easily catch a toe or stumble over a wrinkle. Remove throw rugs from hallways, doorways, bathrooms and kitchens. *Clutter – Clutter is a major source of unnecessary falls. Years of once fond memories become a source of acumulation. Take time to declutter senior’s homes. Remove stacks of magazines, unnecessary furniture that might block a more open walking area and small items such as foot stools. Make walkways through the home as wide and clutter free as possible. Clearing shelves of loose papers and stacks of unnecessary “stuff” allow seniors free handspace –a place to hold and steady themselves if necessary. Clear counter tops so parents do not have to reach and stretch resulting in a loss of balance and a fall. *Medications – Unfortunately as wonderful as medications are they can sometimes cause dizziness or blurred vision especially when seniors are required to take multiple perscriptions. Always check with the doctor to verify all medications seniors are taking will work well together. Even medical records can become cluttered and physicans may not see all current medications. *Vertigo – Aging tends to bring vertigo for some. If parents appear dizzy or unable to regain balance after standing or walking several steps seek the help of their physician. To be safe, pad sharp table corners, cabinet edges and even hutch corners in case seniors topple and fall while reaching to steady themselves. Many times vertigo will insite a sudden fear and senior’s legs will collapse or they will try to sit where they stood. Keeping walking areas clear of obsticles will help prevent major injuries. *Pets – Pets are wonderful additions to a family for companionship but before a pet is introduced be sure aging seniors are able-bodied enough to manage the care and dodge the animal when underfoot. *Add a PERS unit. – A personal emergency reponse system is a simple button worn on the wrist of around the neck at all times. Should a senior fall a simple push of the button will bring almost immediate help. PERS units generally cost $29-$45 per month but the investment is well worth the life saving minutes that can be rendered in the event of an emergency. *Add a ramp over stairs inside and outside the home. If stairs are too numerous inside many insurance companies will pay either partically or infull for the installation of a chair lift that will carry seniors safely up and down stairs. Check with their physician and secure a perscription for this item. *Install indoor hand rails, especially in bathrooms. Handrails can be easily installed inside and outside tubs and showers and around toliets. *Put a portable phone in the bathroom, bedroom, kitchen and living room. It makes good sense. When the phone rings, seniors do not have to rush to answer – one is always handy. *Secure in-home non-medical assistance – Companies like Comfort Keepers can place well trained caregivers for as little as four hours a day to assist seniors as the need grows. Caregivers not only aid the senior but they offer a much needed respite for family members. 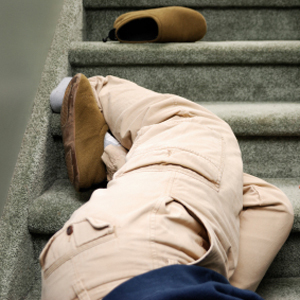 Don’t let your seniors “fall” victim to a stumble or trip. Make their home as safe and secure as possible.